Tomatoes Left On-the-Vine and Other "to-go bags" for Produce! Gosh, what does that mean? Just why do the tomatoes left on the vine get the stamp of approval, and all the other red plump tomatoes are banished from our plates? Well the answer is not so obvious.-- After MUCH searching, I could not get a clear answer from the FDA about why on-the-vine is OK...for this "tomato scare situation". I have a few other reasons why you should feel good about choosing produce still left on the vine, on the branch or with root in tact! 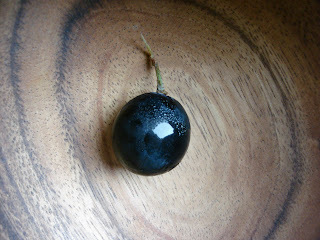 Lets look quickly at GRAPES (left on the vine--as they almost always are found). Grapes, by nature are "on-the-vine" fruit! This fact is one reason why grapes are such an amazing antioxidant snack! Since they come packaged on the vine--they are getting a happy "to-go bag" from the vine they were plucked from. 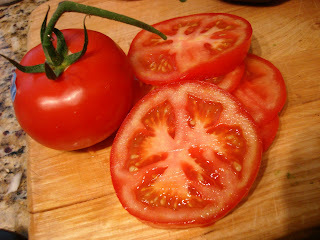 We pay more for tomatoes left on the vine because they stay fresher longer and more nutrients are kept in tact. So we should not take for granted that grapes are another "ON THE VINE" product. What does the VINE, LEAF, BRANCH, ROOT or STEM do? The vines are like a "to-go" bag from the tree or vine that a piece of produce is from. A vine or branch left in-tact can prolong the life and nutrients in the fruit or veggie. You will notice that over time, the vine or branches left in-tact on picked produce will shrivel or become black--in essence, USED. Yet the produce will stay fresh and healthy. The vine, branch, leaf, whatever, is doing its job of supporting the picked produce. So the next time you munch some grapes and pluck them from their vine--just realize that you are plucking --in a way--freshly picked fruit!! And we all know that fresh is always best for taste and nutrition. Read on for MORE produce that can STAY ON THE VINE...OR STEM..OR LEAF...OR BRANCH! 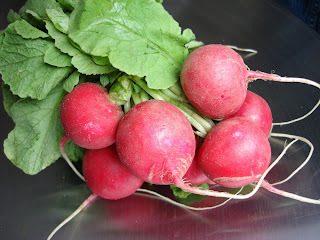 cherries with the stem attached, some peaches with the leaves still attached, corn in the husk, sprouts still in their rooted bed, radishes and carrots with the stalks still attached, pineapples with healthy stalks, tomatoes on the vine, strawberries with long stems and leaves still attached and even hydroponic boston lettuce with the roots still attached. 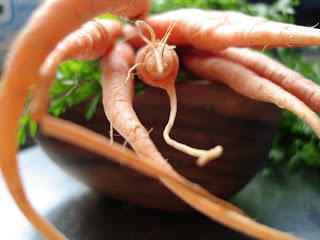 --the fresh carrot will have a stronger fresh carrot smell and flavor, and more nutrients un-oxidized--in tact.